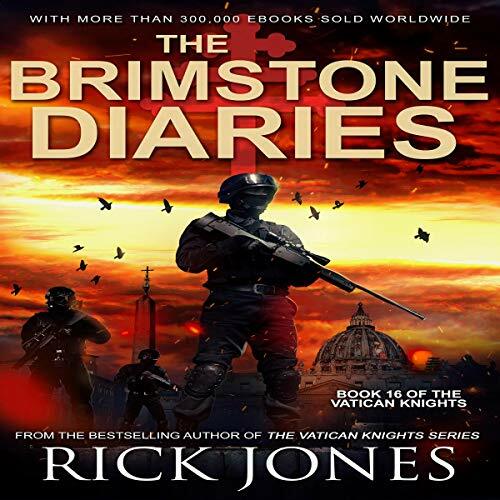 After a sacred tome written by the hand of Saint Peter is stolen from the Vatican’s Secret Archives, people around the world begin to die at the hands of a madman once the secrets of The Brimstone Diaries are unveiled. In Rome, a terrorist faction has quietly breached the ranks of the Vatican hierarchy. As the conspiracy within the ranks begin to materialize, the greatest threat to the Vatican State is about to commence with Vatican City caught dead-center within the crosshairs of total annihilation. With Kimball Hayden and the Vatican Knights working on two fronts trying to protect the secrets of The Brimstone Diaries and the Vatican, great evils will rise on both sides that may be too much for the Vatican Knights in what could be their swansong mission.